For the last 30 years, Save the Rhino Trust (SRT) have been at the forefront of efforts to conserve rhinos. One of the world’s most endangered creatures. These are not just any old rhinos either, the main focus of their work is the extremely rare desert-adapted black rhino. The are the last free-roaming rhinos of this kind, on earth. These unique creatures inhabit the wild frontiers of the Erongo and Kunene regions – without the benefits of being confined within a National Park. 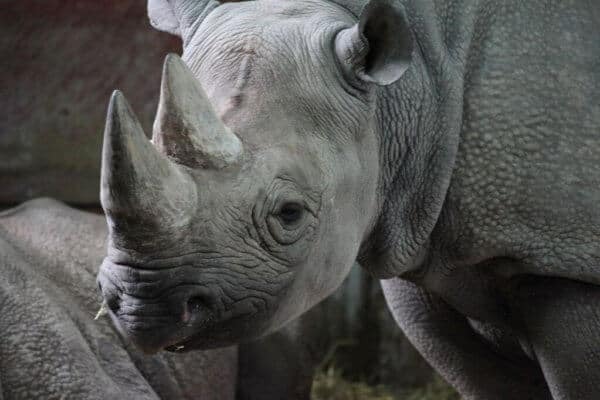 Falling outside of government protection, these rhinos are at even greater risk than their contemporaries and were faced with certain extinction before the SRT stepped in. Their numbers have since recovered considerably under the watchful eye of this organisation. However, the safety of these fascinating animals is far from assured. Despite Namibia’s sterling conservation efforts, the country still suffers annual rhino losses due to poaching. Casualties more than doubled from 2015 to 2016! Thankfully, the Ministry of Environment and Tourism, local communities and NGOs, offer ongoing support to the SRT in their efforts. At first, these involved only teams of trackers watching over these rhino every day but this has become insufficient. The SRT has had to up their game to match the ruthless tactics of the poaching syndicates. A formal operations centre has since been set up to drive the anti-poaching movement in the area. Despite their lack of law enforcement powers, the SRT now has more credibility and manpower thanks to Special Field Force/MET ground teams. With their substantial fixed wing craft and helicopter air support, keeping an eye on things from this central point. Even with these increased methods, the SRT is still fighting an uphill battle against these armed, dangerous, and organised poaching rings and needs all the help they can get. Without the support of IRDNC, Rhino Rangers, conservancy rangers and private sector donors the Save the Rhino Trust cannot continue to conserve and protect the world’s most precious rhinos. Visit the SRT website to see how you can join in the fight for survival.